Jo Ann M. Koontz of Sarasota, Florida, was installed as the 55th President of the American Academy of Attorney-Certified Public Accountants (AAA-CPA). Ms. Koontz was installed on Saturday, July 7 during the Academy's Annual Meeting & Education Conference held in Portland, Oregon. Eric J. Rollinger of Rockville, Maryland, became Immediate Past President. Ms. Koontz is an attorney and CPA practicing in the areas of real estate, business organizations and taxation. She earned her Bachelor of Science in Business Administration from Ohio Northern University in 2001, where she specialized in accounting. Ms. Koontz obtained her Juris Doctor from Ohio Northern University in 2006. 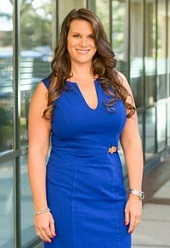 She represents clients in a wide variety of business and real estate matters, including commercial and residential real estate transactions; S corporations; partnership and LLC formation and reorganizations; and the tax implications of business and real estate transactions, including purchases and sales of assets and equity interests. Ms. Koontz's full biography is available here. In addition, the following officers were also installed: William B. Le Vay of Houston, Texas, as Vice-President; Howard O. Bernstein of Boulder, Colorado, as Treasurer; David W. Klasing of Irvine, California, as Secretary; and Michele B. Friend of Los Angeles, California, as Assistant Secretary/Treasurer.